As we look forward and understand the high cost nursing home, assisted living facility or home care expenses, long-term care insurance may be a great option to help pay for long-term care costs. 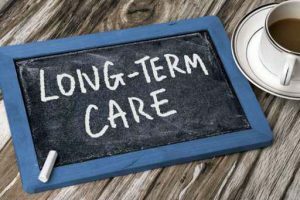 However, even with long-term care insurance, long-term care costs may exceed the costs of care, and your long-term care plan should be reviewed. Long-term care insurance policies can be difficult to understand, and before you purchase a policy, it is vital to understand what it covers and whether you would actually benefit from having a plan. Attorney Bradley L. Greene can help you understand your options to see if long-term care insurance is right for you. If you have insurance already, we can review how that plan will help you and can identify shortcomings in the policy. We do not sell long-term care insurance, but we are very familiar with how long-term care insurance policies work. Our understanding of the complex issues involved with long-term care and what insurance policies cover helps us determine if a long-term care insurance policy is in your best interests, both financially and in regard to the provision of care. Our lawyer sits down with our clients and reviews their assets and income to see what options are available and if it is cost-effective to purchase or maintain a policy. Long-term care insurance is not for everyone, and we will be the first to tell you if buying a policy is not in your best interests. We are always focused on our clients’ best interests, and we are dedicated to making sure they or their loved ones receive quality care. Our elder law attorneys know how difficult decisions regarding long-term care can be, and we offer compassionate advice to help improve your quality of life. Our primary office is located in Beachwood, and we have an appointment only office in downtown Cleveland. Our law firm helps clients throughout Northeast Ohio determine if long-term care insurance is right for them. Contact us online or call us at 216-575-5200 for a free phone consultation.